Buffalo Stampede is another popular Aristocrat online slot. As it always goes with Aristocrat, Buffalo Stampede slot was first launched in land casinos (2013), and then made its way online. Buffalo Stampede is not the first Buffalo themed slot. It’s actual a sequel to the original Buffalo slot machine – one of the most popular Vegas casino slots online. Buffalo Stampede is part of Aristocrat Reel Power series, which means that it’s a 1024 pay lines slot – all lines from left to right. You probably saw some other slots from this series such as 5 Dragons and Choy Sun Doa slots. To play all 1024 line costs 40 credits. You have the option to choose if you wish to activate all 1024 lines by choosing the number of active reels. For example: if you choose to activate 4 reels, then on the last reel you will see 3 of 4 symbols become fade and only one remains active. In this case you will be playing 256 lines, which will cost you 20 credits. 3 reels (64 lines) cost 10 credits and so on. As you can see, it’s better to play all 5 reels , since the cost per line is lower and therefore your winning odds are higher. The minimum bet per spin of Buffalo Stampede is 10 cents or penny, and it goes up to $/€ 160 per spin. The lifetime return of Buffalo online slot is 94.85. It’s not great, but it’s still much better than the land casino version which usually pays around 90 -92 %. Naturally, Buffalo is the highest paying symbol of the game. The good part that it’s a stacked symbol and can fill the whole reel/reels. Other high paying symbols are represented by various animals – Tiger, Wolf, Moose, etc. The Sunset is the wild symbol of Buffalo Stampede slot and it substitutes for all other symbols except the scatter Coin. 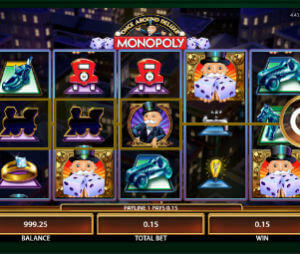 It can appear on reels 2,3 and 4 and during the free spins it serves as a wild multiplier. Every time it appears in a winning line it will multiply your reward x2 or x3. If you get 3 of them in line you can get up to x27 multiplier. The Free Spins are the main bonus feature of Buffalo Stampede slot. It is activated by landing 3 or more scatter Coins anywhere on the reels. You can get 8, 15 or 20 spins (for 3, 4 or 5 coins). This feature can be re-triggered again in a similar way, plus if you get 2 scatters you get 5 additional free spins. The good part about the free spins, besides being free of course, is the multiplier which can really boost your bankroll.